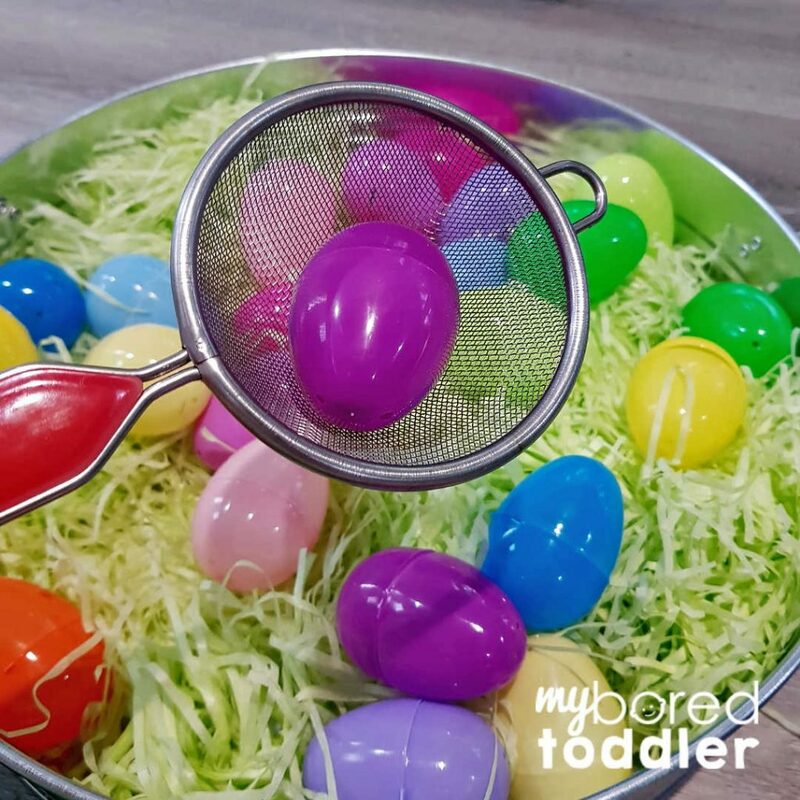 This easy Easter egg color sorting activity is an easy Easter activity for toddlers and preschoolers. It took very little time to set up this Easter egg sensory bin and the cost of the items was minimal (less than $5) and can be used in other activities too. 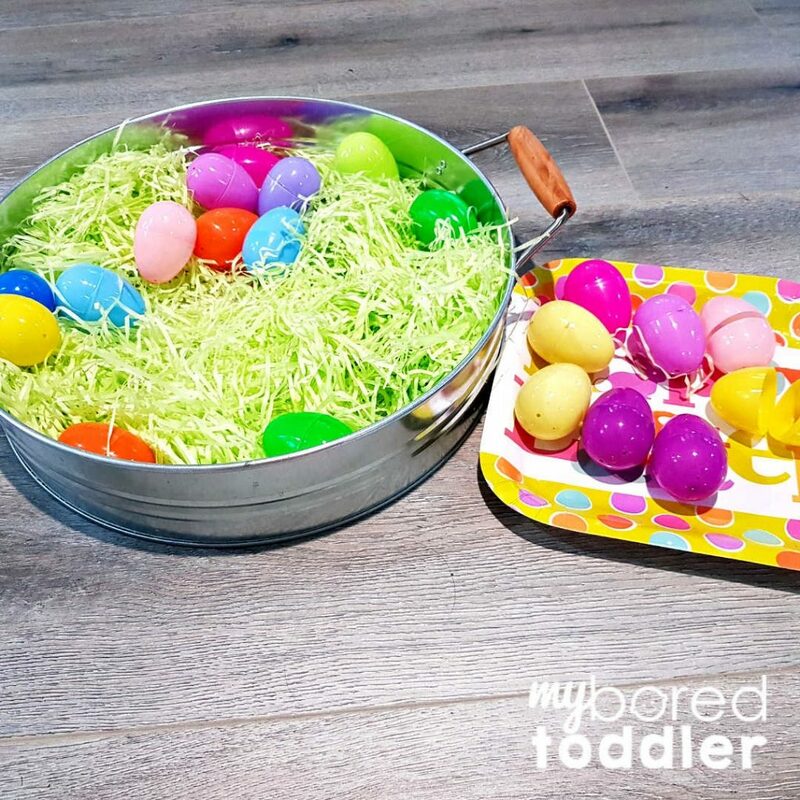 My kids had so much fun playing with the Easter egg sensory bin and it was really easy to set up. While I originally considered making this a rice sensory bin (just change the paper for colored rice) I decided to go with the shredded paper as it’s a lot less messy than the rice can be. It was also only $1 at the store and being the craft addict I am I had picked up LOTS of packets and now needed to justify my purchases! A quick tip for when you’re wanting to do seasonal activities with your toddlers is to go to your local dollar store or department store and grab a heap of themed supplies. It’s so much easier to have a collection to choose from than it is to go to the store each time you need to do an activity. 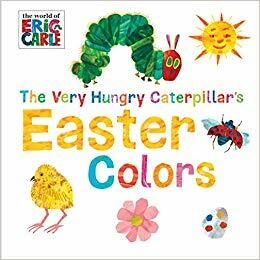 My favorite Easter book to read to toddlers before this activity is The Very Hungry Caterpillar’s Easter Colors which you can order HERE from Amazon. It’s a great book to introduce a discussion on colors. A container of your choice. 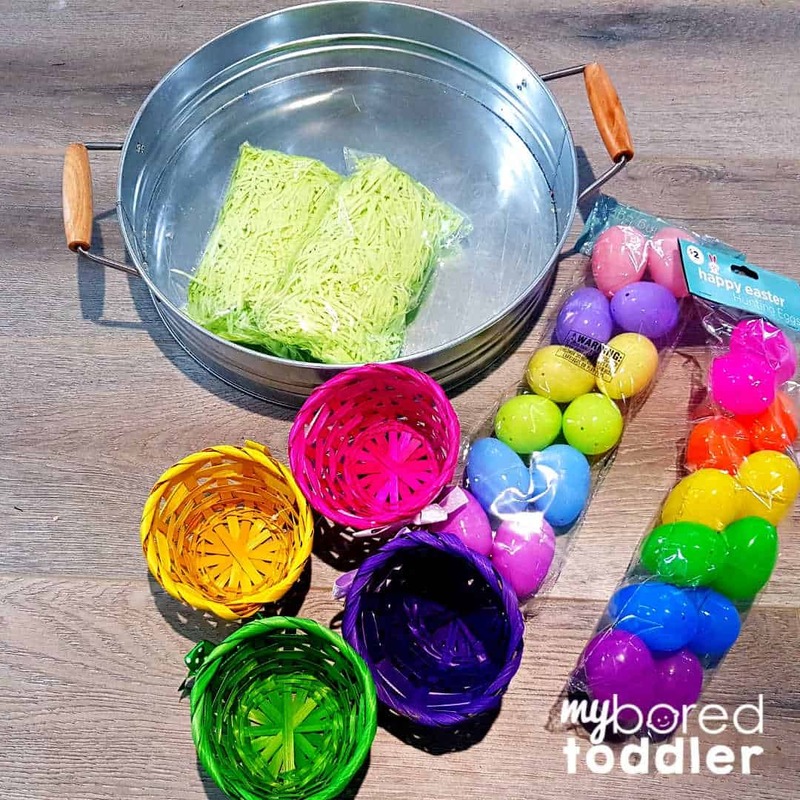 For this activity, I used a tray like this one but a plastic container like this will work well too. Plastic Easter eggs – you can get them HERE on Amazon. 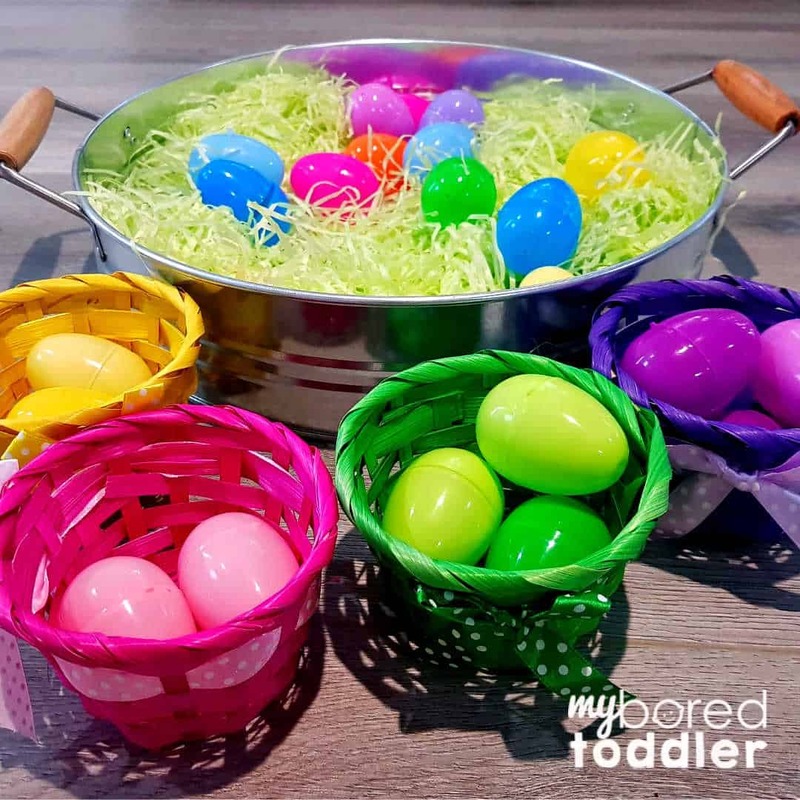 Colored Baskets – I grabbed these with the Easter craft items at my local store, but you could use colored containers or baskets like these instead. Scoop (optional – we added this in at the end to add another play element to the activity). 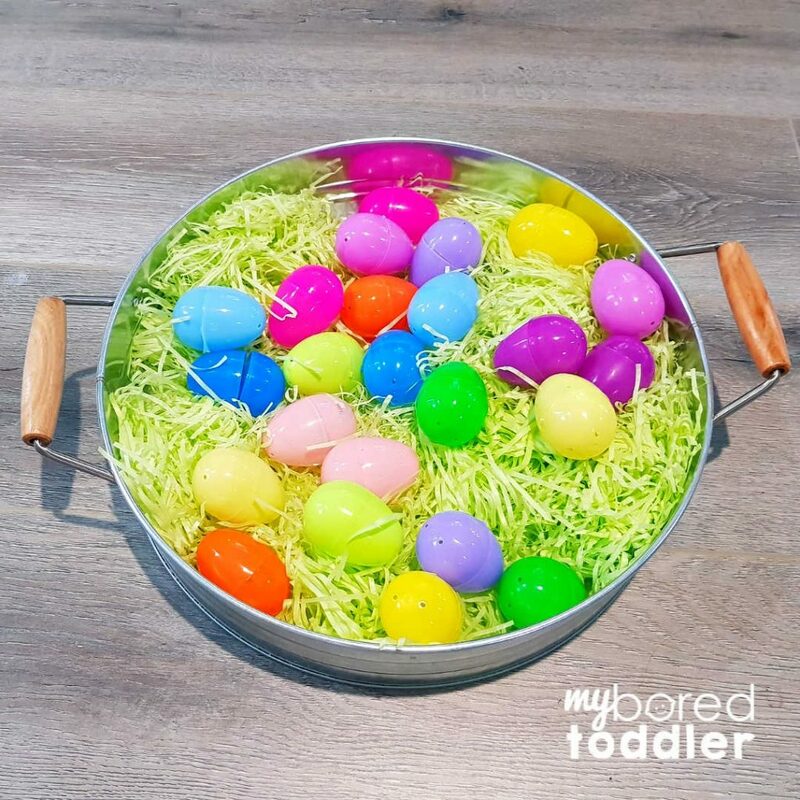 For the next step, let your toddler add the eggs into the tray – it gets them involved in the activity for a little bit longer and they always like to help. If you prefer to have it set up and ready to go then you can do this part yourself. 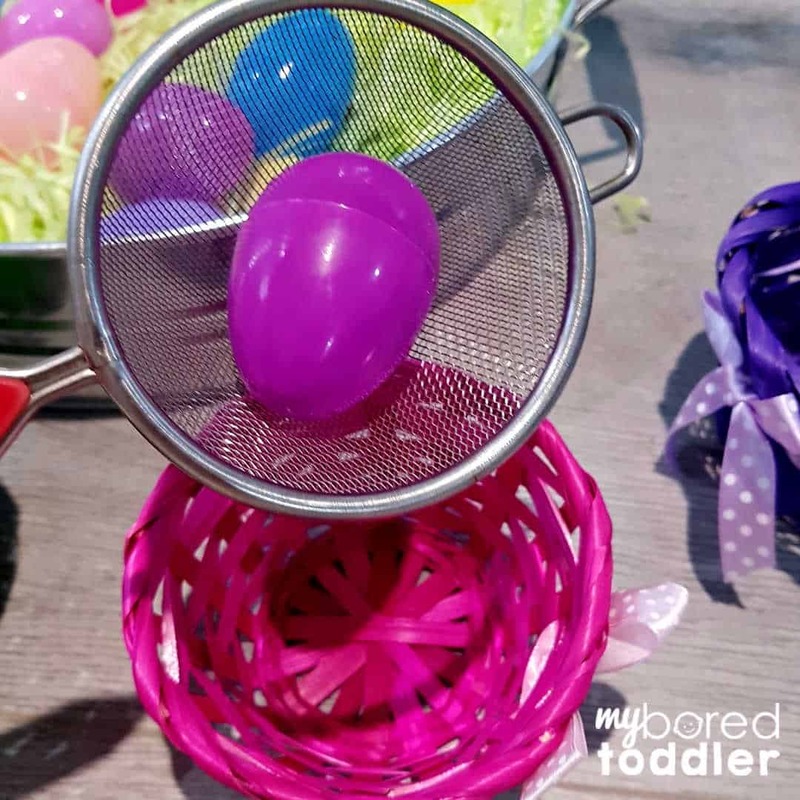 Before you introduce the baskets, why not let them play and explore with the eggs and the paper and see what ideas they come up with. Add in the baskets and a scoop if you like. When I do this, I don’t like to give instructions. I just place them there and see what happens. Remember, at this age the aim is to encourage exploration, investigation and play. We don’t go into an activity with an outcome in mind – we just let them play and see where that takes us. Remember to keep it fun and at their level – a toddler is not expected to know their colors or be able to count. The best way to teach this is to expose them to it through play. If you set up this Easter egg color sorting activity I’d love to see some photos. 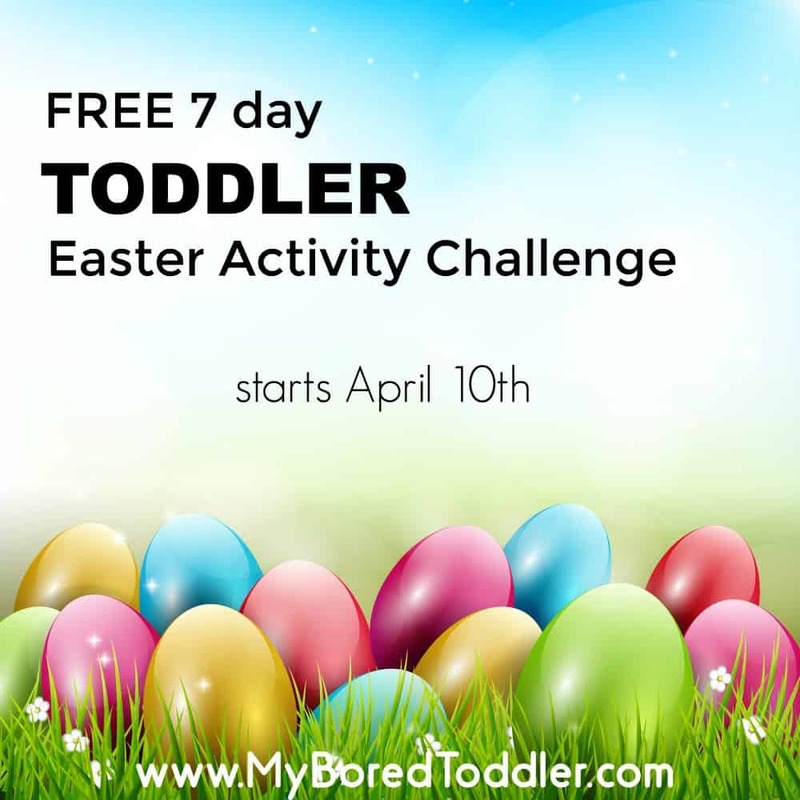 Share them in our Facebook group or over on Instagram (use #myboredtoddler and tag @myboredtoddler so we can all see). Don’t forget to join in our Easter Craft Challenge too (it’s free!). 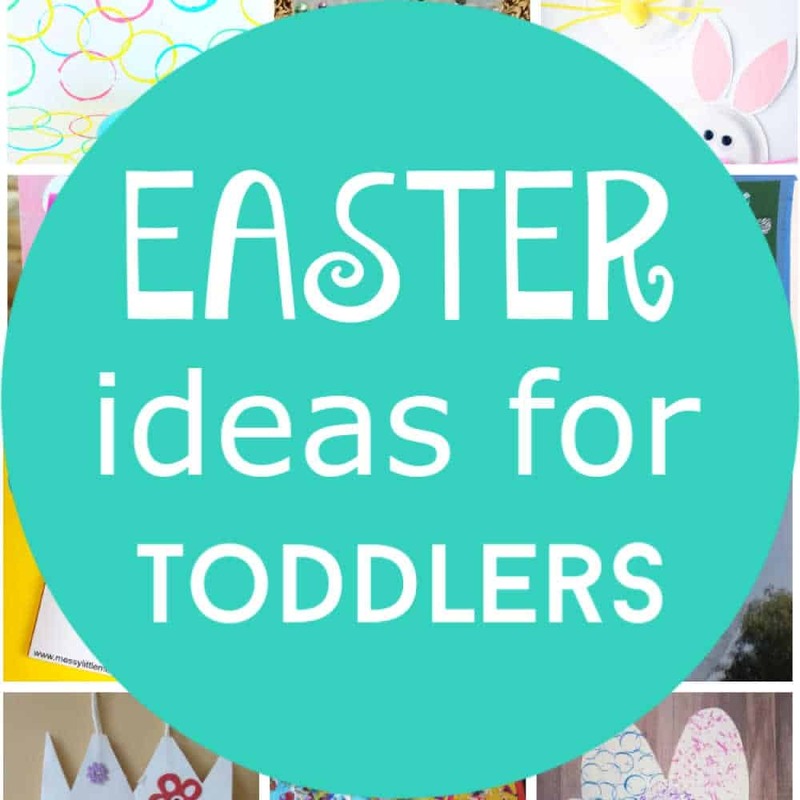 For 5 days of inexpensive and easy toddler crafts sign up HERE. 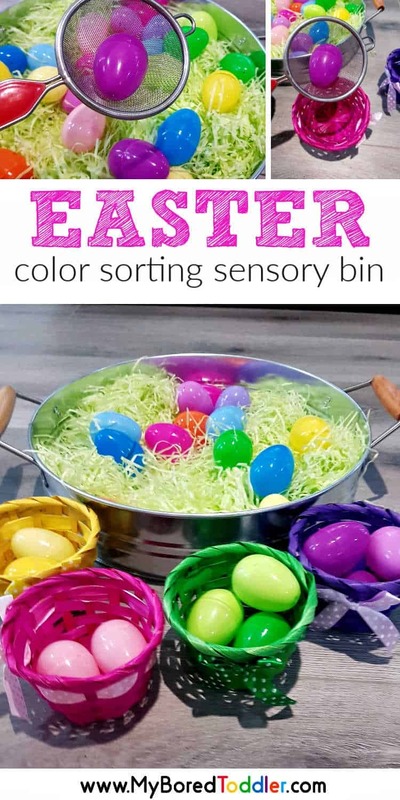 If you loved this Easter sensory bin post why not Pin it on Pinterest. 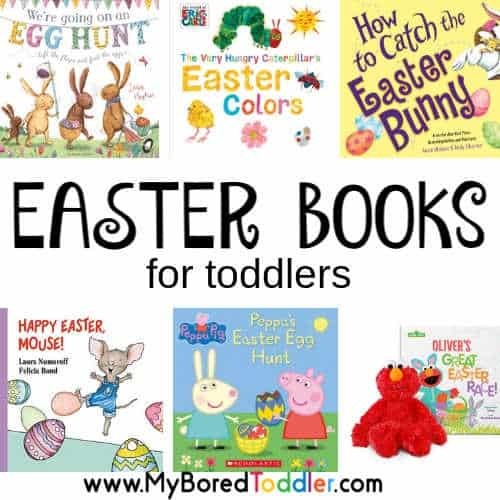 You can find more Easter Ideas for Toddlers on THIS Pinterest board. 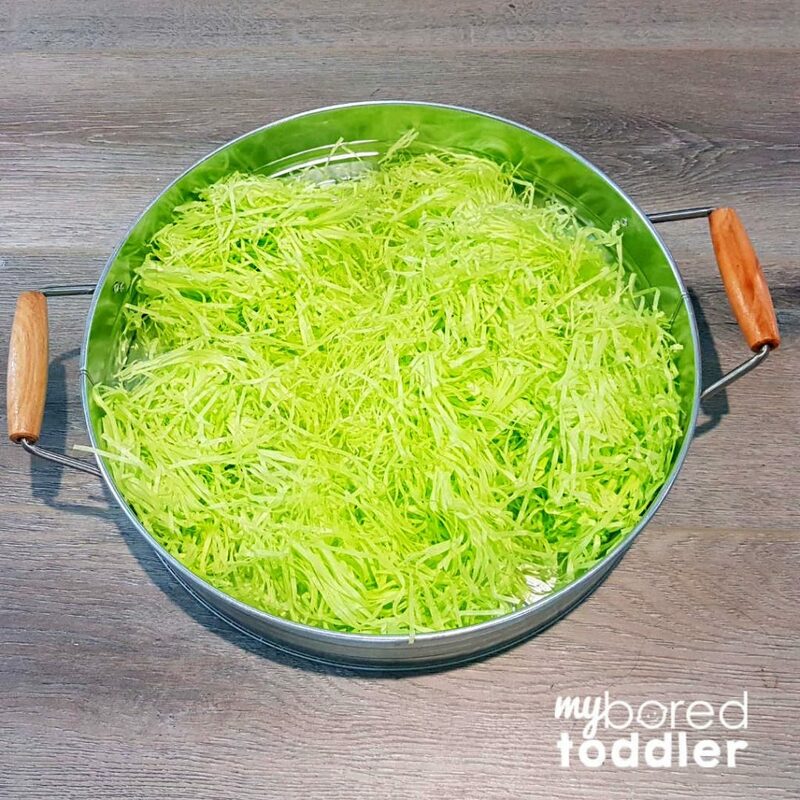 « Healthy Finger Foods for Toddlers – perfect for snacks on the go!